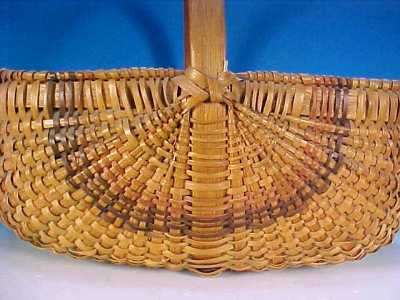 Gorgeous vintage tri-color oak ribbed buttocks egg basket featuring natural dyed oak splints. 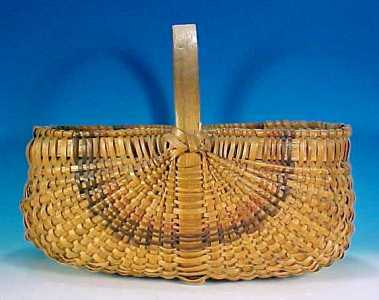 This vintage basket is in a more non-traditional rectangle shape vs. the more common round shape. 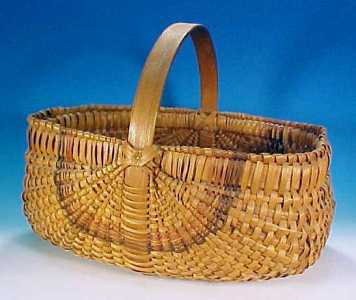 Handwoven of oak splints, one strand of weaving on both sides has been dyed in a dark brown fading to medium brown, over 30 hand carved and tapered oak staves (ribs). 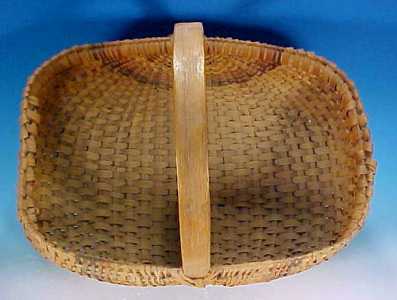 Private estate collection. 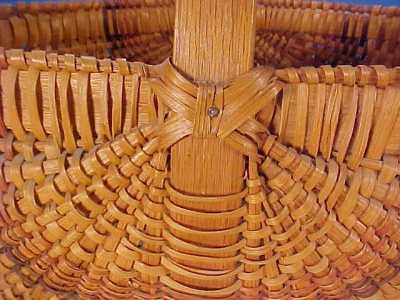 Some fading of the dyed strand has occurred on the outside of this ribbed buttocks basket, but the inside (though dusty) is still nearly pristine. 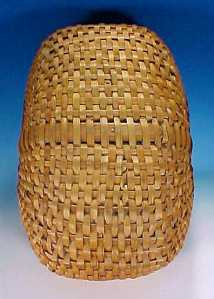 The "X" weaving along the handle has been nailed (see photo) on both sides, with an additional nail on the bottom which forms the carved oak handle rib. Deep, rich age-related patina! 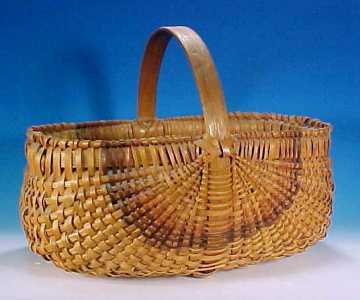 This large vintage tri-color oak ribbed buttocks egg basket is large enough to be used as a market basket. 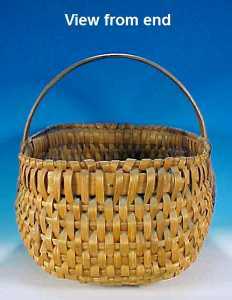 This old oak basket measures 51" in circumference, 17" x 12", 9" high to the top of the woven rim and 13.5" to to the top of the handle.